The early 1900s is widely considered the golden age of Peking Opera in China. Then, competition was fierce as opera troupes led by renowned stars toured all over China. Meanwhile, critics were ever ready to fire off their assessments of the quality of each troupe's performance. In 1927, Shuntian Times, a newspaper in Beijing, hosted a contest for performers of Peking Opera who played female roles in their plays. Such an actor is known as dan. The top prize was won by Mei Lanfang, followed by Cheng Yanqiu, Shang Xiaoyun and Xun Huisheng. Since that historic contest, the four artists have been widely known as the Four Great Dan of Peking Opera, and each went on to develop their own disciplines which have been studied and followed by generations of opera singers. In the past, Peking Opera was an all-male affair. 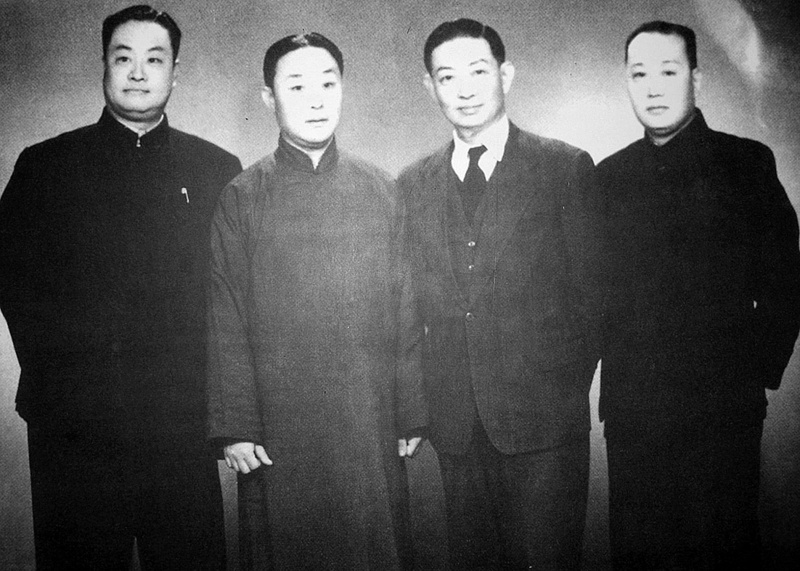 In the 1960s, however, the cultural administration of China discouraged cross-gender performances in folk opera and the majority of the disciples under the Four Great Dan have since been women. Wang Yaoqing (1881-1954), a Peking Opera artist and critic, summarized each of the four artists' styles using a single Chinese character, and these characters have since become the most widely recognized definition of the Four Great Dan. Mei Lanfang's (1894-1961) style was called "yang". When translated literally, "yang" means "look and style" as the artist excelled in his portrayals of women of refinement and grace. Mei, arguably the most celebrated Peking Opera artist of all time, first became famous in the 1910s. He boasted a mellow voice and impeccable movement on stage. Mei was renowned for his efforts in modernizing Peking Opera in terms of plays, stage design, lighting, makeup and costume design. Mei was also the first Peking Opera artist to gain international recognition when he performed in the US in 1930. During wartime, Mei kept a moustache as a reply to the Japanese who requested him to perform. This bold act of patriotism earned him great respect and bolstered his fame as an artist. Cheng Yanqiu's (1904-1958) style was called "chang", which refers to his distinctive singing style. As a student, Cheng studied under Mei but he later developed his own unique style, which was defined by whimpering-like vocalization that was later widely recognized by the opera world as "soft and pleasing, firm but gentle". Cheng paid great attention to emotional expressions during his performances and became widely known for his portrayal of women in tragic stories. Shang Xiaoyun's (1900-1976) style was known as "bang", the Chinese term for "bravo". Shang started his opera journey as a martial arts character and his performance style was powerful. He was particularly adept at portraying brave and heroic women characters. Xun Huisheng's (1900-1968) style was called "lang", which is an adjective for coquettish or seductive. Xun started his training not in Peking Opera, but Hebei Bangzi, a coarser form of folk opera theater. He made the switch to Peking Opera when he was 19 but kept elements of Bangzi in his repertoire. Xun, who was famous for his sweet voice, was particularly good at presenting seductive or sassy women characters such as prostitutes.